IonPod Portable Alkalizing Water Bottle – Official Site IonPod Alkalizing Water Bottle – What is it? Water is more than just a beverage: proper hydration is the cornerstone of an overall healthy lifestyle. If you want to stay hydrated in the go, and want enjoy clean, alkaline water that is convenient and delicious, Ionpod is a convenient and high-quality portable water system, designed with the every day user in mind. If you supplement your health program with pH-enhanced water, having a portable water system makes it easy to maintain your good health and dietary needs wherever you are, whether in the office, running errands, or traveling. Choosing the right portable alkaline water system for your needs makes staying healthy and eating well even easier. The IonPod® system has many attractive benefits that make it a great choice for the active, health-focused consumer. TheIonPod® incorporates the power of a larger home alkalizing unit into a portable, design meant for those with an active lifestyle. The product is made with high-quality materials such as food-grade stainless steel and a silver mineralization filter. The materials selected to produce this system are durable, allowing you to enjoy clean, pH-enhanced water for years to come. In addition to the quality craftsmanship, this water system keeps design in mind with a sleek travel container available in an attractive stainless steel housing. The IonPod is effective in raising the pH level of ordinary tap water in a relatively short period of time – as little as three minutes. For those who prefer a higher level of alkalinity, water can be left to stand for 10-20 minutes to further alkalize before drinking. Tests by users show that leaving water overnight in the system can raise the alkalinity to as high as 9.5 or 10 (demonstrated through the use of pH drops with a visual pH guide). While the system does not have a traditional carbon filter like the best alkaline water machines in the planet, and cannot filter out contaminants such as chlorine, it will improve the taste and mouth feel of treated tap or bottled water, which of course lends itself to better water consumption and hydration throughout the day. Users report that, after using the system for days or weeks, there is a distinguishable difference in taste when returning to regular tap or bottled water. While there are very few weaknesses in the effectiveness and design of the IonPod® Portable Alkalizing Water Bottle portable water system, the capacity of the container is problematic for some. For those who consume a larger quantity of water throughout the day, the small capacity of the container may require several refills. 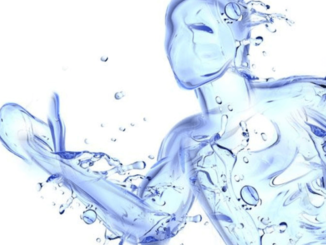 While a larger capacity container would be nice, it does not significantly alter the effectiveness of the alkalizing filter, or the quality of the transformed water. “There is a requirement of success that weighs on us, we must keep it in mind during our work”, the French foreign minister stressed, noting that a “draft agreement” was to be delivered to him on Saturday. 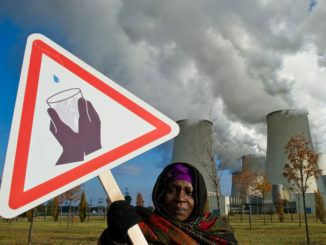 The leaders of France, Germany, Canada, Chile, Mexico and Ethiopia, as well as heads of the World Bank, International Monetary Fund and Organization of Economic Cooperation and Development say either taxing carbon emissions or a cap-and-trade system is the best way to mitigate climate change, the Associate Press reports. While these informal meetings are taking place, another strand of negotiators have broad oversight of the whole package of details that will make up any agreement, attempting to steer it through to a deal, and a third strand are working on some of the important issues that will make up the package, such as financial assistance for poor countries, commitments on greenhouse gas emissions, and mechanisms for ensuring countries are accountable for meeting their targets in a transparent way. Brandalism’s Joe Elan said: ‘By sponsoring the climate talks, major polluters such as Air France and GDF-Suez-Engie can promote themselves as part of the solution – when actually they are part of the problem’. It said that the agreement should be as per all the principles and provisions of the UN Framework Convention on Climate Change (UNFCCC) especially equity and common but differentiated responsibilities (CBDR). However, negotiators said the nitty-gritty discussions for a hugely complex 54-page draft text, riddled with undecided clauses, were advancing too slowly. “At some point, we definitely need to switch gear”. Negotiators say that the French, who have put a massive diplomatic effort into the past year of preparations, are acutely aware of the risk that any agreement will be foiled not by a lack of political will to forge a deal, but by being bogged down in the unwieldy details of the text. “I remain confident that it will be a hard fought two weeks but at the end of the day we are likely to achieve, and I believe we will achieve, an agreement”, Australian Environment Minister Greg Hunt told reporters. United Nations climate chief Christiana Figueres cautioned against despair. “I think our dialogue with India and the plan that they have produced and some of the cooperation that we are undertaking on clean energy comes from people’s recognition that much of what the president has set in motion here in the United States is going to be enduring”, she said. Touching on the rich-poor issue, British charity Oxfam issued a study saying the wealthiest 10 percent of people produce half of Earth’s fossil-fuel emissions, while the poorest half contribute a mere 10 percent. But she said the biggest gap was over climate finance. At the core of the talks is the goal of limiting warming to a maximum of 2ºC (3.6ºF) over pre-Industrial Revolution levels. “We can be even more ambitious”.